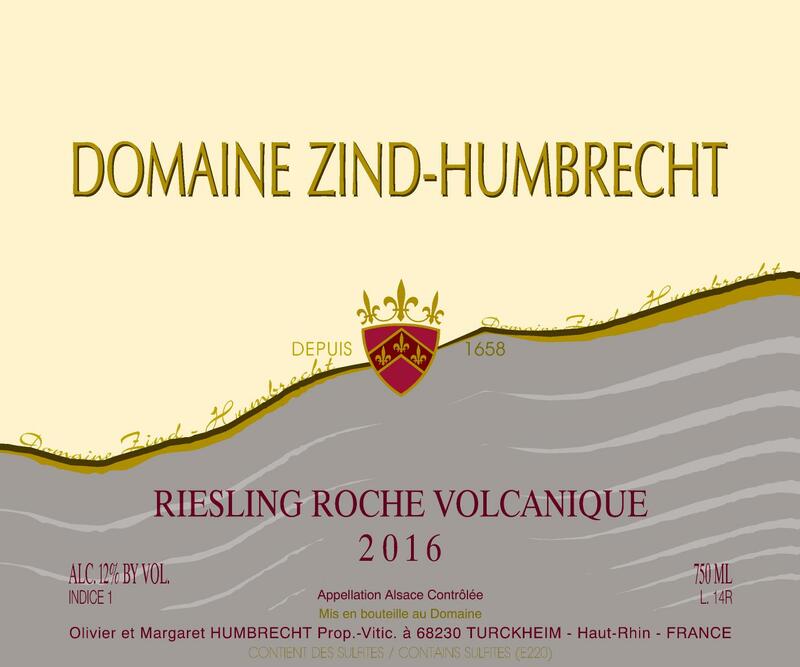 This wine originates from the younger vines of Riesling planted in the 1980s on the Grand Cru Rangen. 2016 enjoyed an extremely dry summer, putting a little more stress on these 30ish year old vines, so we felt that we shouldn’t have blended them with the older vines. The volcanic soil here is very poor so yields are naturally low, even for young vines, so the character of the volcanic rock is well present in this wine. Driving south in Alsace, it is easy to forget that we actually go higher in altitude, which makes the Rangen a late ripening vineyard and explains why these grapes were harvested over a month after the Brand in Turckheim! The fermentation took a half year to complete, but the wine spent its 18 months in cask on the full lees before bottling.